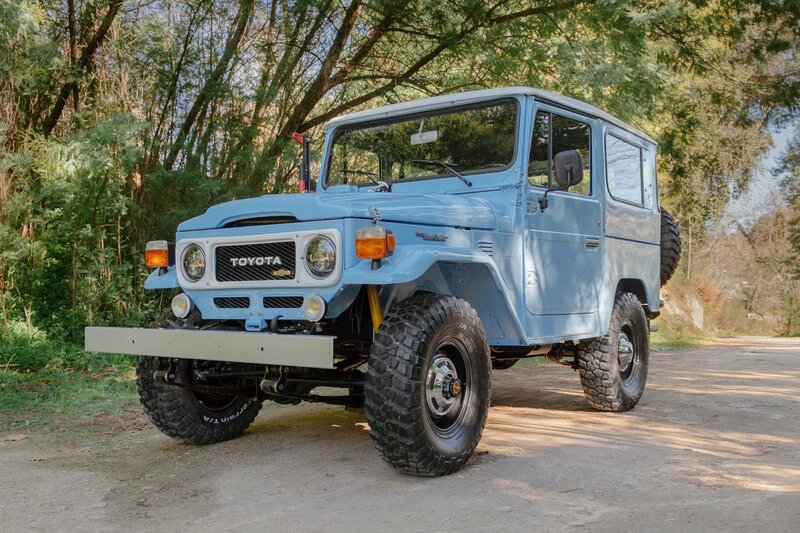 Upgraded by Legacy Overland with handmade details, a new paint finish, and high-tech features, this 1979 Land Cruiser BJ40 looks even better than the original. The dedicated team transformed this vintage gem over thousands of hours of work. The car has undergone a full frame-off restoration, which also includes a complete rebuild for the 3L B-type engine. The exterior now boasts a beautiful Cadet Blue gloss paint, while the interior features a range of modern updates. This Toyota Land Cruiser comes with a Bluetooth-enabled retro-style radio, an LED headlight replacement and fog lights, BF Goodrich All Terrain A/T tires on original wheels, as well as power steering and a hi-lift jack. The cabin boasts genuine leather upholstery, handcrafted floor mats, a diamond-stitched Alcantara headliner, sun visors, and a Jerry can and holder on right rear door, completed in the car’s stunning blue color. This beauty found a new owner this year, but you can check out the company’s website to see more custom builds and beautifully restored vintage vehicles. Photographs© Legacy Overland.